Bauer is starting its third new radio station this year as Country Hits Radio gets ready to launch on a number of DAB multiplexes in the UK. Country Hits Radio launches on April 5th via DAB in London, Birmingham, Manchester, Liverpool, Leeds, South Yorkshire, Lancashire, Humberside, Tyne & Wear, Teesside, Glasgow,, Edinburgh, Tayside, Inverness and Ayr. Bauer is to remove Kiss Fresh from the above local multiplexes to make room for Country Hits Radio. Country Hits Radio is targetting modern country music-lovers aged 25-44, with country music radio host Baylen Leonard (Chris Country, BBC Radio 2, BBC Radio 4) joining the station for a daily weekday show. Nashville’s Ty Bentli will share news from the US country scene Monday to Friday and singer-songwriter Una Healy from The Saturdays will also join the station for a weekend show. The presenters in the photo above are Jennie Longdon (breakfast), Scarlett Howard (weekends), Baylen Leonard (mid-mornings), Una Healy (weekends), Ty Bentli (Drive), Lou Nash (afternoons) and Emma Jones (weekends). During launch week next month, the station will play host to guest appearances from Chase Rice, Carly Pearce, Ashley McBryde, Brett Eldredge and Jimmie Allen. The UK’s only other terrestrial country radio stations are Chris Country, operated by Chris Stevens, and Bauer’s Downtown Country in Northern Ireland. Chris Country has been running since 2013 and is currently on DAB in Manchester, Cambridge, Portsmouth, London, Norwich, Suffolk, Glasgow and Wrexham / Chester / Liverpool. Last month, Global launched Smooth Country, an online stream of country music within the Global Player. 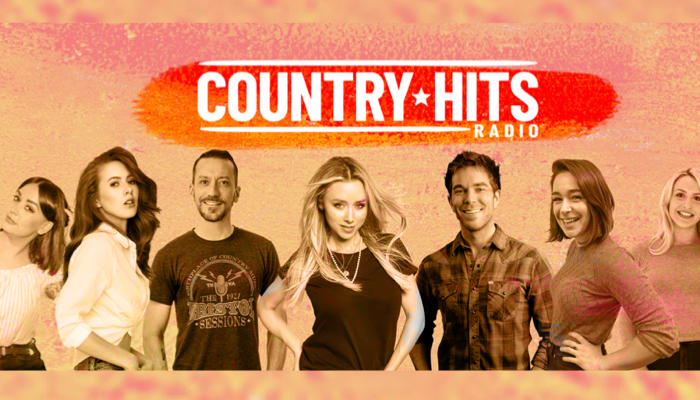 Country Hits Radio is the third new station launch from Bauer Media this year – following on from Greatest Hits Radio and Scala Radio. Get Randell Lee Rose on Drivetime , which he did brilliantly on Country 1035, and David Allan on board , and I will listen. Not my type of music but This is great to have a specialist service for country music. It’s only on local multiplexes where Bauer have a shareholding, and they don’t own any in Wales yet. I’ll welcome this but surely how about sorting out the fate of the City 1 stations in England and Scotland and getting the new purchases integrated first ? Well done to Bauer,Global and Wireless.UK listeners have never had more choice of National Stations. I liken it to 1964 when the ‘pop pirates’ first appeared in the UK.They revolutionised the publics listening habits by giving them what they wanted.Quatily National Stations. What about Herts, Beds, Bucks mux ?! I’m a big country music fan, I don’t want to miss out! A large chunk of Bedfordshire & Hertfordshire can get the London multiplexes. Bauer does an excellent job with its national services and this seems to further widen the listening options after the recent launch of Scala. I actually much prefer Bauer’s national stations to Global’s. Good stuff! Now just crack on with rolling out Hits and Greatest Hits – surely this must be coming soon. They may a few oldies on the new station, perhaps on a Sunday your grandma might hear them being played. I thought this was on the horizon. This is fantastic news but please can the radio station go completely national, and please include country oldies and a U.S Country countdown show. 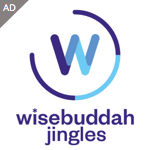 With the oldies stations playing the same 100 songs and BBC local radio stations pushing auto tuned music more and more, its good to have a bit more choice especially for the over 50s, especially now that Radio 2 is lost forever. I’m looking forward to RTE getting on DAB so we can have some proper variety broadcasting. radio for mature listeners is very stale and needs a big rethink. As with Hits Radio & Greatest Hits Radio, it may do a deal for it to be carried on the Now Digital platforms as there’s plenty of room in most areas. The service should just play ALL country music regardless of era. I seriously doubt that older listeners would be chuffed to hear just the more recent stuff and totally shunning the legends such as Dolly, Kenny Rogers & Johnny Cash et. al. In fact, shouldn’t they have just copied the Downtown Country format? They are aiming it at young ABC1 listeners, as with Scala Radio, because it’s the audience that many advertisers want to reach. The BBC provides a service for older listeners. Err like giving Bob Harris 1 hour a week on Radio 2 !!!! How can it be a nationwide radio station if once again the sw(Devon etc.as there is apparently no one living beyond Bristol) misses out. There are people down here that like Country as well.. If they are looking for a great UK country disc jockey then ” The Archers” Eddie Grundy (Trevor Harrison) should get a show. He stood in for Wally Whyton years ago, and ended up arguing with the producers over the playlist. With Jolene Archer reviving her career, they would make a great team, and then there is Wayne Tucson, whatever happened to him.? A great country watch on Google play is ” The Broken wood Mysteries” : Blood Pink. A country music whodunnit, very well acted and written. We need some Johnny Cash and not just the ones people know. Why the age group 25-44? i listen to Chris Radio and they play ALL types of Country for ALL ages. Surely if you’re trying to build up an audience you go for as many people as possible!! P.S. i’m 54, spend a lot of money buying country music, going to gigs, buckle and boots, C2C, etc yet you think i’m past it by being over 44 ! !